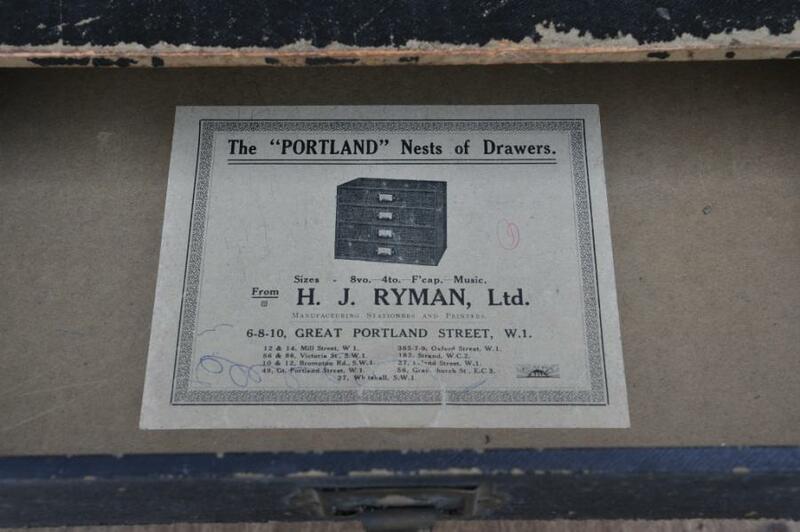 Three vintage lined pine nests of drawers.A pair each with original label within the top drawer and a third similar. 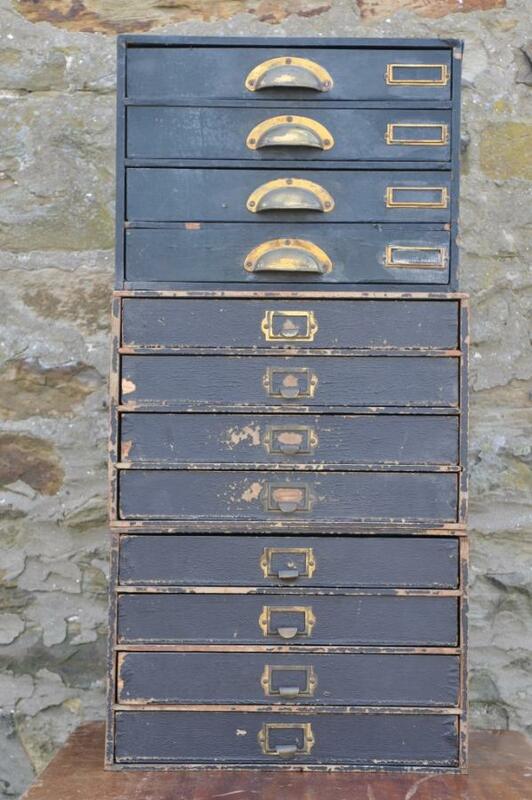 All with brass handles/pulls and label holders. Dimensions in inches/cms; pair-15.5/50 x 9.75/25 x 10 3/8 /26 high. 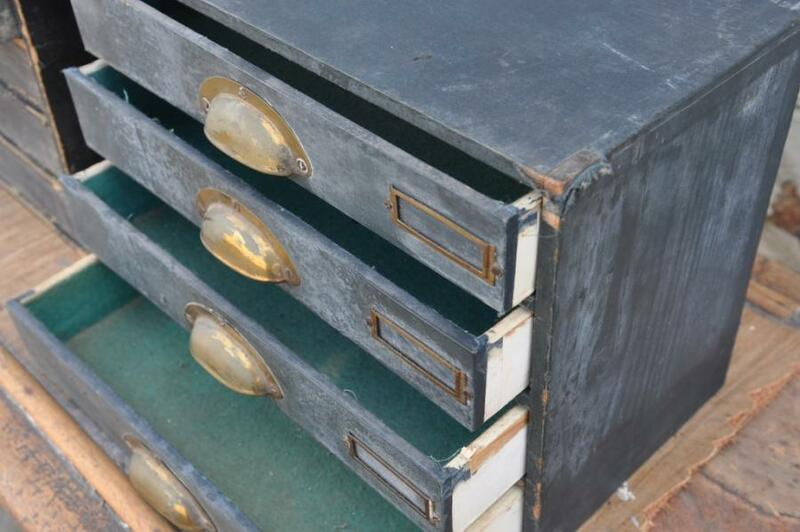 internal drawer space-14/35.5 wide x 8.75/22 deep x 2/5 high single-15.25/38.5 wide x 8.5/22 de3ep x 11/28 high internal drawer space- 13.25/34.5 x 7.25/18 deep x 2/5 high.